a) Safeguard the interests of the child belonging to weaker section and disadvantaged group. b) Eliminate discrimination or harassment of a child belonging to disadvantaged group or weaker section in schools by prohibiting it and by providing for preventive and protective measures to facilitate its eradication. 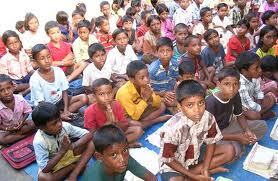 c) promote equality for children belonging to weaker section and disadvantaged group. (iv) by treating unfavorably in any way in connection with the child’s enrolment to a specific standard of class or area of study, training or instruction. (v) by treating them separately in utilizing the sports and other facilities. 3. The school shall prescribe the procedures and mechanism to deal with and decide any complaint or discrimination made or submitted by any child belonging to the weaker section or the disadvantaged group, and it shall be obligatory on the part of the school to decide such complaints within a maximum period of 60 days from the date of receipt or submission of such complaint. 4. The schools shall take steps to engage with the educational fraternity, the community and the public at large, and raise public awareness on the importance of equality and overcoming discrimination and harassment against children belonging to weaker section and disadvantaged group in schools. The school shall make public all measures taken by it for elimination of discrimination against and harassment of children belonging to weaker section and disadvantaged group. The State Government and local authorities are being requested to take appropriate steps for ensuring that all schools adhere to the aforementioned Guidelines for preventing discrimination in schools in respect of children belonging to weaker section and disadvantaged groups.